We had a beautiful start to a beautiful day! Glad to have Andy and his gang join us for a good day of fishing. Plenty of rock…plenty of blues! Appreciate having you all make the trip Andy and look forward to the next time. Great having Rick and his crew today fish with us. The weather was great and the fishing was good. Limited out early…everybody happy…rock and blues all around. Appreciate your business Rick and look forward to seeing you all again! Very glad to have Bill bring such a great group of folks to fish with us! 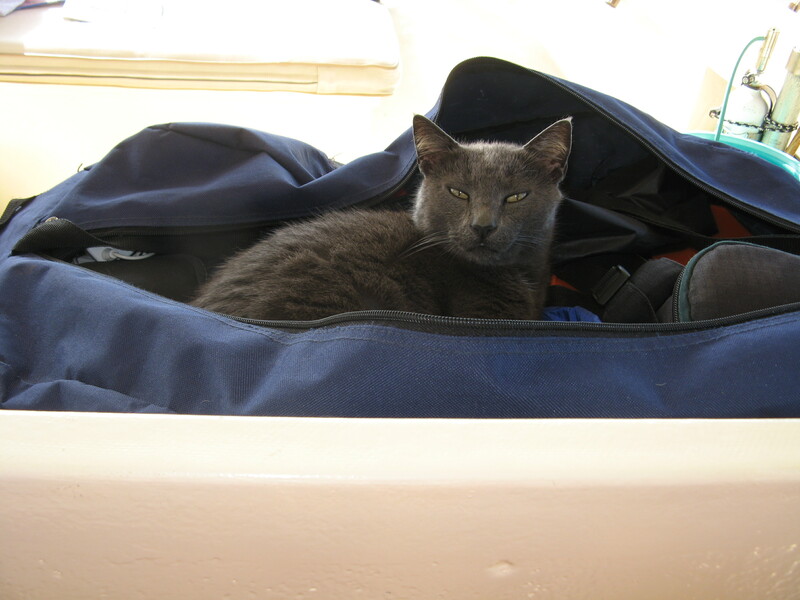 We were very fortunate to have the fish biting really good…brought home our limit of rock plus a good catch of blues. Thank you very much Bill – please come back again soon! 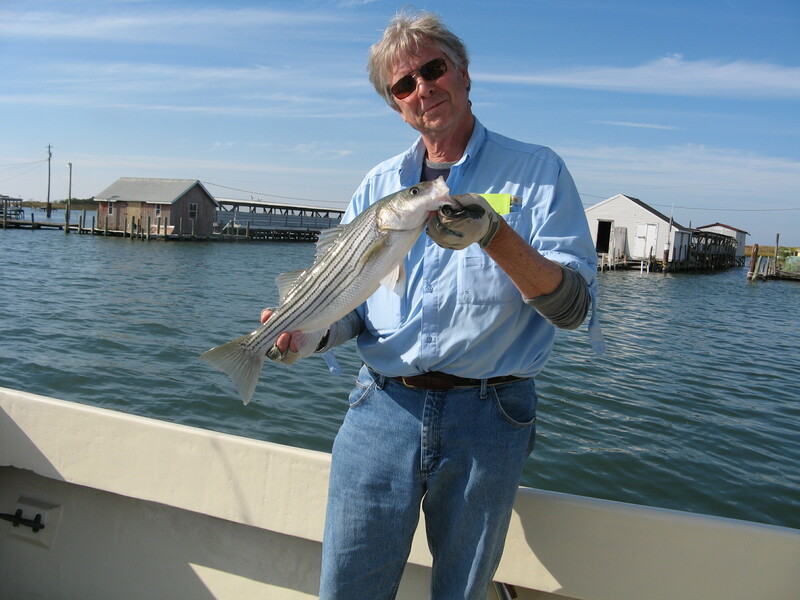 While tied to the dock at Tangier as George and Nancy were hard at work, Bill made the best use of his time doing what he loves to do…fish! 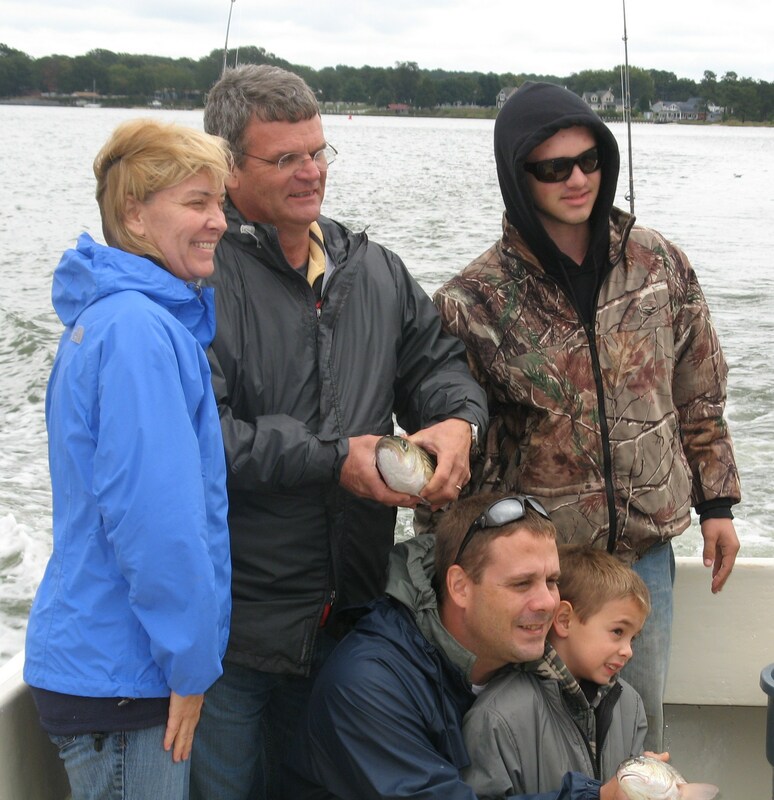 We saw the fish on the fish finder and caught our limit of stripers right in the harbor. A special thanks to Ooker, the mayor of Tangier, for giving us the opportunity to learn about his operation, which included meeting his beloved furry friends. Appreciate your business Downstream! Glad to have Rick and his crew today for a beautiful day of fall fishing. 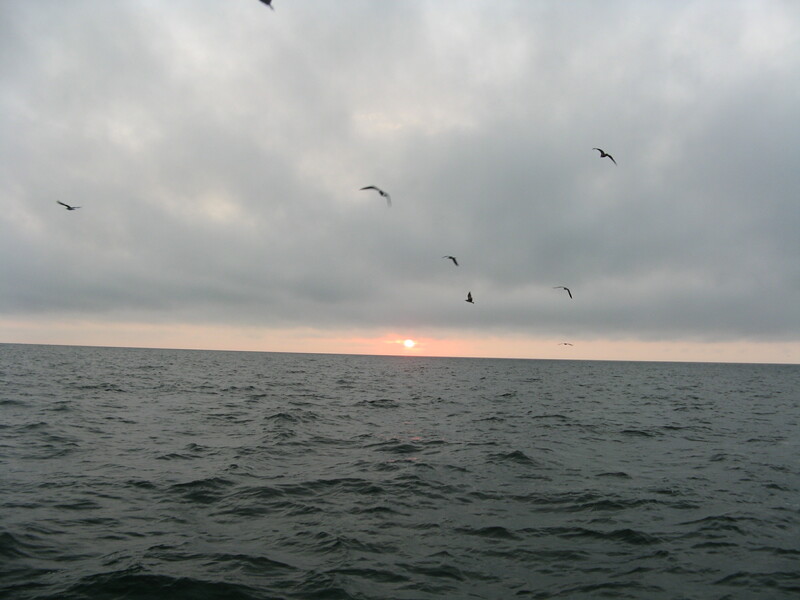 We had our limit of 28 rockfish, 59 blues, 1 puppy drum, and 2 legal black seabass! Couldn’t ask for a nicer day! Appreciate you coming Rick and hope to see you back on KIT II again soon! Thanks to David for sending these guys over to fish with us. 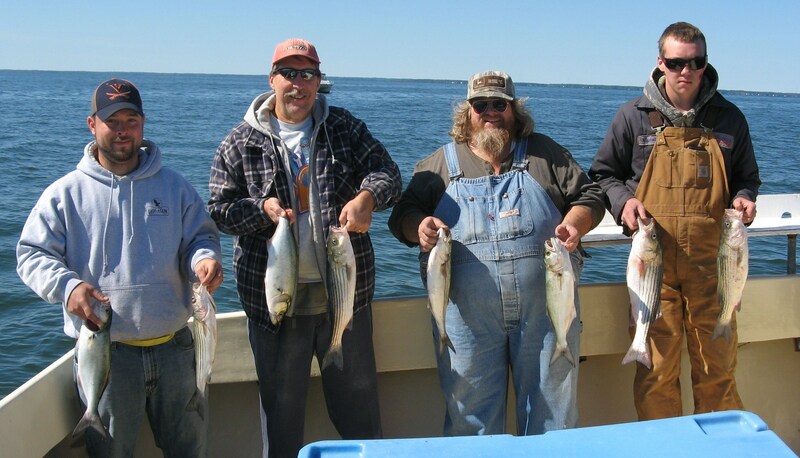 We had a great day of fishing with our limit of rock and 56 bluefish to go with them. The fish are on the feed with these cooler temps. 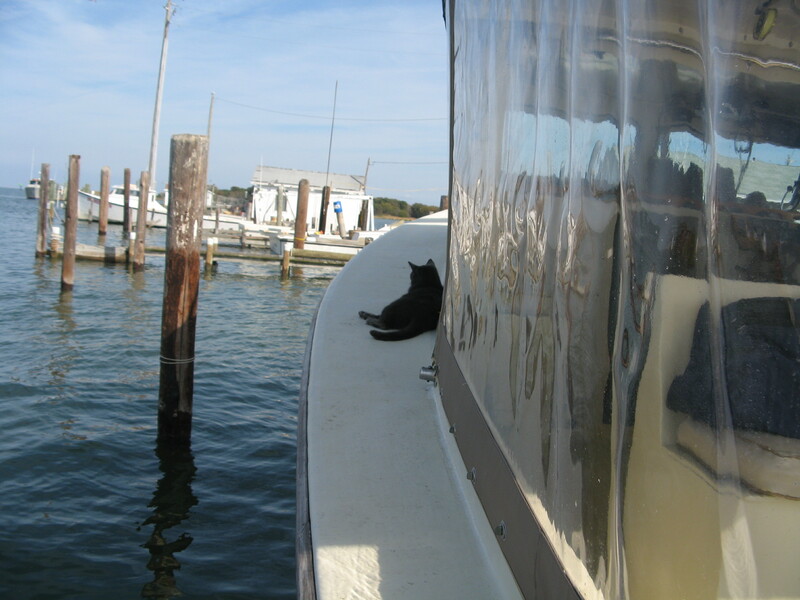 Appreciate you all coming down to enjoy this great fall fishing and look forward to your next time aboard KIT II! 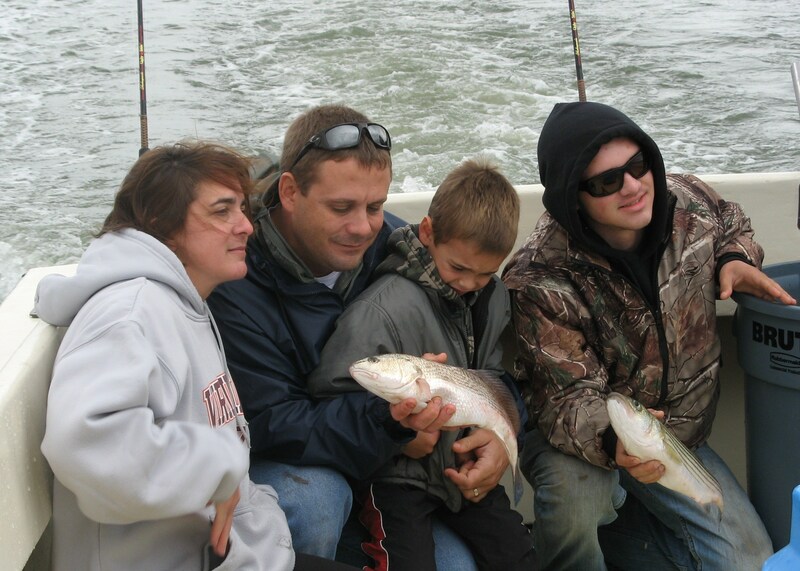 Congratulations to Lisa and her husband, who celebrated their wedding anniversary with a family fun fishing outing us. They were troopers as they fished hard in a northeast wind and plenty of rain, bringing in a great catch of stripers, blues, puppy drum and black sea bass! Our youngest angler stayed out and fished all day, catching his biggest fish. We wish the weather had worked more in our favor and certainly appreciated their spirit. Thank you Lisa and crew…here’s to sunny skies next trip!